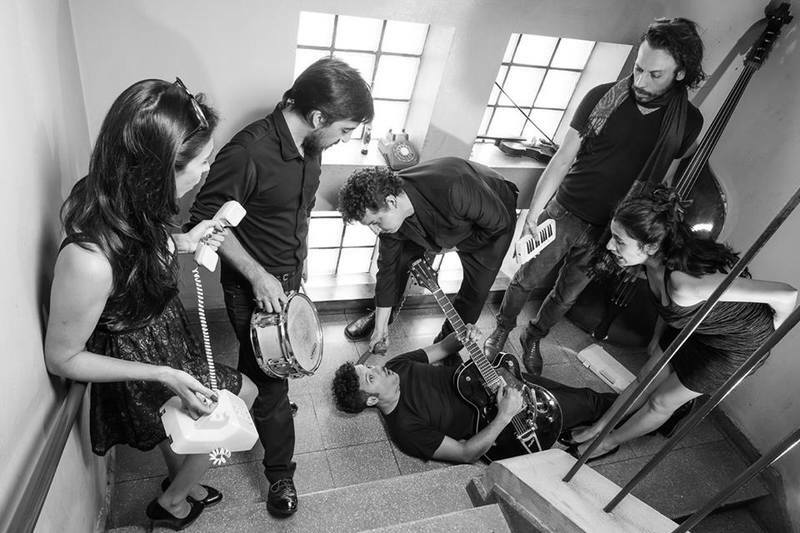 With a mixture of Latin American rhythms, added to Jazz, Rock, Pop and World Music; Golosa la Orquesta is installed innovating in the Latin American scene. Newcomers from a tour of prestigious festivals in Europe and Latin America, such as Nibe festival, Copenhagen Jazz Festival, Babel Sound, Festival Django Argentina and Colombia among others; prepare the airing of their second production. His performance proposal fuses without limits the rhythms of yesteryear but interpreted in a contemporary way: tango, chachachá, milonga, waltz, bolero added to jazz, rock, pop and world music. A show with speech and a powerful staging, with a direct interacting with the crowd, especially experiencing and understanding the Latin American rhythm from the body and the party. Octave violins, guitars that experiment between delay and reverb, midi keyboards, fused with the purity of the accordion and the acoustic violin, the sound of the double bass and the virtuosity in jazz improvisations in their music, which has led them to famous festivals in Colombia, Denemark, Germany, Hungary, Argentina and Chile. Golosa the Orchestra is a party and conscience music.